Losing 50-plus pounds was a complicated process for 50 Cent — but not an entirely new one. The rapper, who plays a football player with cancer in the upcoming film "Things Fall Apart," dropped from 214 pounds to 160 in nine weeks after liquid dieting and running on a treadmill three hours a day. But the 33-year-old said that when he was shot in the jaw in 2000, he could drink only liquids and his weight dropped to 157. "This time it was a lot tougher for me," the 6-foot-tall rapper said in an interview Friday with the Associated Press. "I had to discipline myself not … to actually have myself be in the physical state to convey the energy I felt. 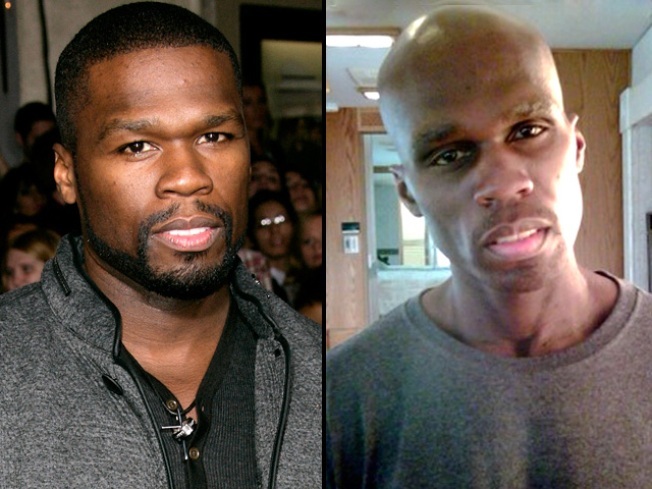 It's a passion project for me," said 50 Cent, whose real name is Curtis Jackson. The film is about a childhood friend of the rapper who died of cancer, and is in production. Actors including Robert De Niro, Christian Bale, Tom Hanks and Renee Zellweger are known for adjusting their weight in movies, and 50 said he did research when keeping the weight off got hard. "I actually got on the computer," he said. "When it started getting difficult, I was looking to see what their experience was like and I got a chance to see all of the interviews they had at different time periods when they were doing promotion for the projects." 50 has been gaining the lost weight back, though, and said he currently weighs 198 pounds. He said he doesn't anticipate winning awards for his acting role. "Well, you know, I haven't received accolades that comes with the success that I've had in music," he said. "It would be a surprise" to win any acting awards, he said, noting that it's already a reward to have people aware of the role. He released his fourth album, the gold-selling "Before I Self Destruct," in November. He kicks off his North American tour Saturday in Detroit. PLAY IT NOW: 'New Moon' LA Premiere: 50 Cent - 'I'm Excited' To See The Movie!